Visible Ink Press : Who was the first black named Association of College and Research Librarian of the Year? Who was the first black named Association of College and Research Librarian of the Year? In 1964, she became the first black to receive a Ph.D. degree in library science from the University of Illinois. In 1976-77, she became the first black national president of Beta Phi Mu, the honor society for persons with graduate degrees in library science. She is dean of the library and William and Camille Cosby Professor in the Humanities at Fisk University. 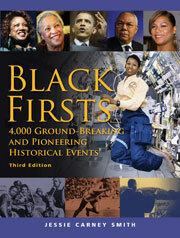 She's authored or edited several books on African American history including Black Firsts. Jessie Carney Smith became the first black to receive a Ph.D. degree in library science from the University of Illinois. In 1976-77, she became the first black national president of Beta Phi Mu, the honor society for persons with graduate degrees in library science. Smith was honored again in 1985, this time as the first black to be named Association of College and Research Librarian of the Year. She is dean of the library and William and Camille Cosby Professor in the Humanities at Fisk University. Sources: Hine, Black Women in America, 2nd ed., vol. 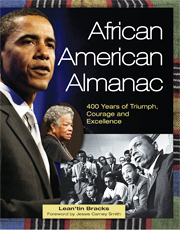 3, p. 158; Who's Who among African Americans, vol. 26, pp. 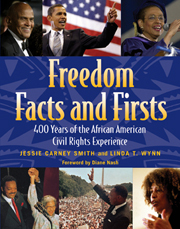 1147-48; Who's Who in America, 65th ed., Biography, http://www.answers/com/topic/jessie-carney-smith-1.